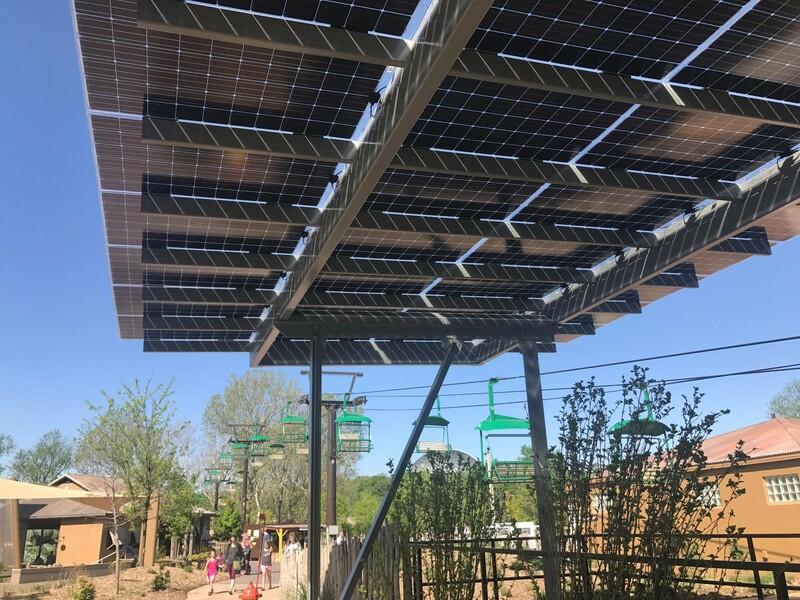 Highly architectural, attractive and water proof solar installations are uniquely suited for universities and other institutions as well as hospitality and commercial venues looking to make a visible statement about renewable energy. 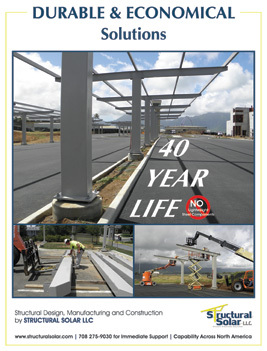 Structural Solar fabricates and installs an aluminum framed system specifically designed for 0.25” thick frameless bi-facial solar modules such as those manufactured by Prism Solar Technologies. Typically the modules are translucent and pick up sunlight not only from the top but reflected light from the bottom side while also allowing some transmission of light through the module. 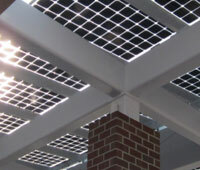 This results in measurably higher PV efficiency while also providing striking esthetics and appeal. Moreover, the aluminum system has chase ways for gaskets and wiring that enables the modules to be installed in a largely water proof and seamless manner. The aluminum frames and components have a durable, factory applied enamel coating that is time tested and approved for architectural exterior use. The aluminum rafters can carry spans up to 25’ or more and virtually any space, or alternatively any loading conditions can be covered if a steel portal frame, also provided by Structural Solar augments the design. Installations have been made in coastal areas having a 165 mph wind requirement. Accordingly, the highly architectural and relatively light weight bi-facial solar solution is ideally suited for solar canopies of all types but particularly when value is placed on aesthetics and water management. 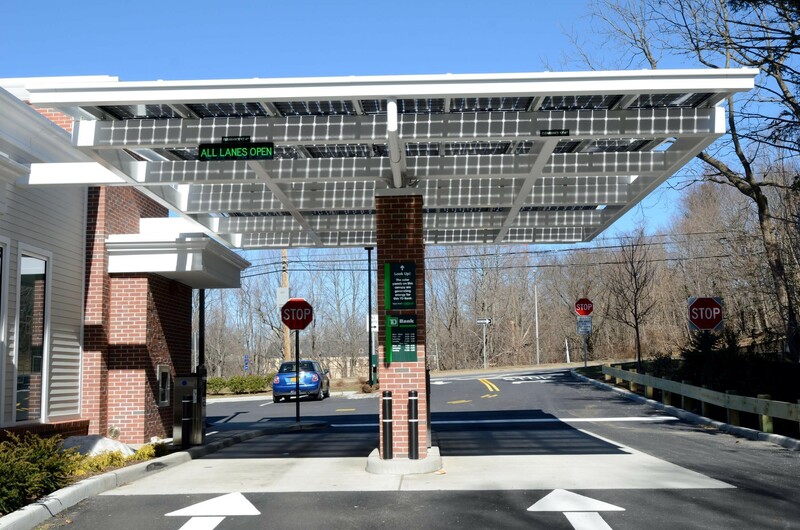 Carwash canopies, banks, reception areas and porticos, auto dealerships and outdoor areas for professional office buildings are merely a few of the solar applications made possible with this combination of aesthetics, functionality and efficiency. The structural system and PV modules may be ordered separately or kitted and delivered together to simplify project logistics.